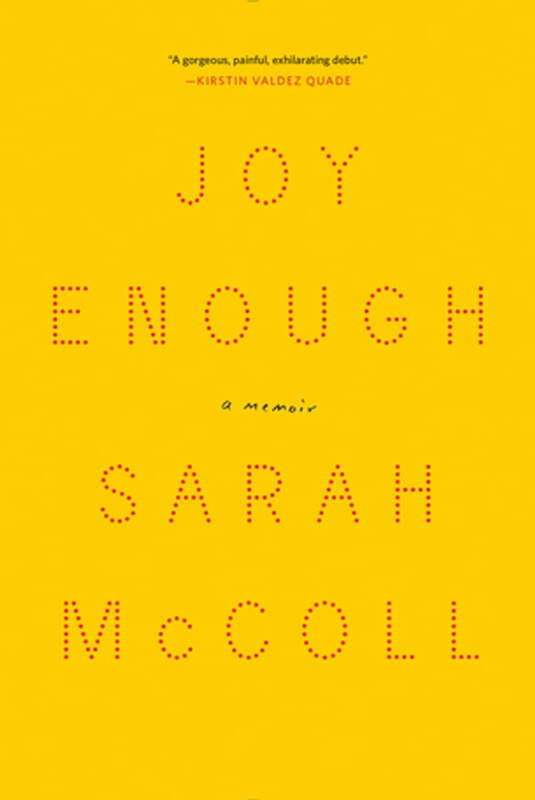 Sifting gingerly through memories of her late mother, brilliant newcomer Sarah McColl has penned an indelible tribute to the joy and pain of loving well. Even as her own marriage splinters, McColl drops everything when her mother is diagnosed with cancer, returning to the family farmhouse and laboring over elaborate meals in the hopes of nourishing her back to health. In a series of vibrant vignettes—lipstick applied, novels read, imperfect cakes baked—McColl reveals a woman of endless charm and infinite love for her unruly brood of children. Mining the dual losses of both her young marriage and her beloved mother, McColl confronts her identity as a woman, walking lightly in the footsteps of the woman who came before her and clinging fast to the joy she left behind. With candor reminiscent of classics like C. S. Lewis’s A Grief Observed, Joy Enough offers a story that blooms with life.